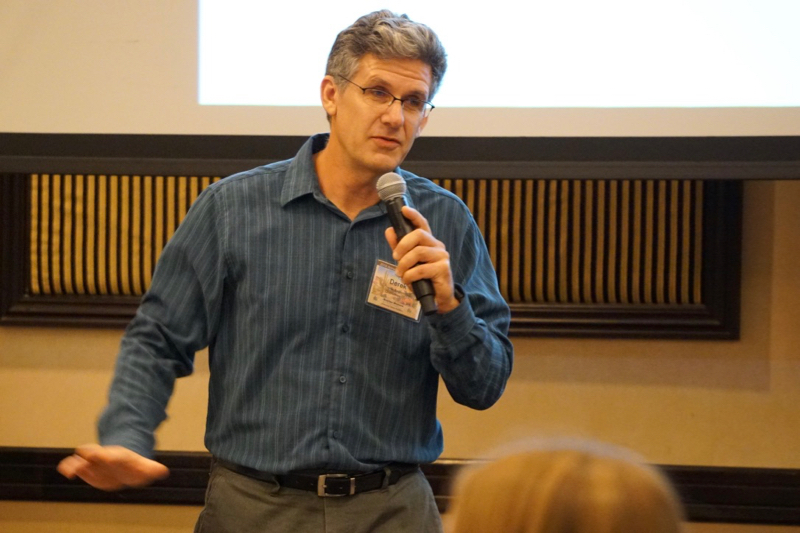 In Episode 12 of the Native Waters on Arid Lands podcast, we speak with Dr. Derek Kauneckis about his work on climate vulnerability assessments. Derek is an associate professor with the Environmental Studies program at Ohio University’s Voinovich School of Leadership and Public Affairs. Listen to the podcast and read below to learn more about Derek and his work. You can subscribe to this podcast on iTunes, Google Play and Stitcher. As part of the Native Waters on Arid Lands project, Derek has been working with tribes to proactively increase their resilience to climate change through climate change vulnerability assessments. Climate vulnerability assessments are suites of tools used to help communities determine the extent to which they may be impacted by climate change, and to develop a plan for dealing with those impacts. “The main strength of a vulnerability assessment isn’t necessarily just to highlight places that a community might have some gaps or weaknesses, but to get some discussion going on what a community should look like in the future,” Derek explains in the podcast. Derek believes that the most successful assessments are those that take a multi-sectoral approach. For example, looking at how water management might be impacting forestry or public health. It is also advisable for tribes to look as far into the future as possible, and to incorporate multiple streams of knowledge. 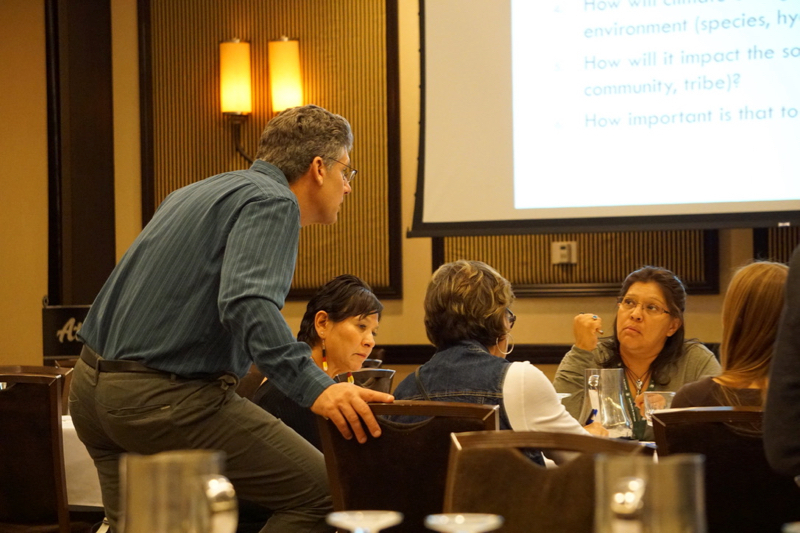 NWAL team member Derek Kauneckis of Ohio University leads a climate adaptation and vulnerability assessment workshop during the NWAL 2018 Tribal Summit in Reno, Nev.
To learn more about Derek’s work with the Native Waters on Arid Lands project, listen to podcast episode 12, below. Music for this podcast came from Podington Bear (song title: Bit Rio) on the Free Music Archive under a Creative Commons license.